CIRLE operates as the Law School’s ‘think tank’ on matters of student education and experience and all of our work streams aim to have an impact on our curricula and co-curricular activities. Many of our projects also have a broader impact within the university, higher education sector and the professions with whom we engage. Lydia Bleasdale and Sarah Humphreys undertook a year-long research project, supported by the Leeds Institute for Teaching Excellence, into undergraduate ‘resilience.’ Here, resilience was used as an umbrella term to encompass the wide range of factors external and internal to students – including relationships and communities – which can impact upon a student’s ability to navigate times of challenge. 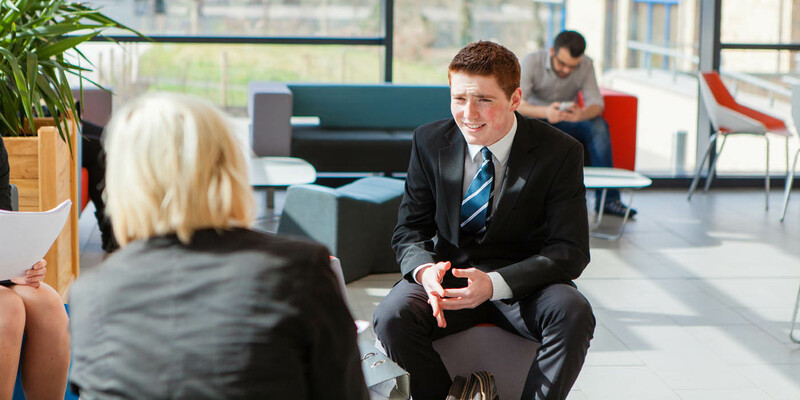 The ‘Undergraduate Resilience Research Project Report’ was published in January 2018 and discussed how the resilience of students of different disciplines – including Law – can be supported (and undermined) within a university context. Although the project was framed as concerning ‘resilience,’ at its heart was a concern with the role universities can and should play in supporting and protecting relationships across campus, including through teaching, personal tutoring models, student support mechanisms, and broader engagement with students. The report specifically rejected an individualised notion of ‘resilience,’ whereby a person is seen as being entirely and solely responsible for their ability to navigate challenge. Lydia and Sarah would be delighted to discuss the Report and its findings further with any interested parties. In late 2017, Lydia Bleasdale and Andrew Francis were commissioned by the Leeds Law Society to explore how different generations within the legal profession negotiate the transformative change the sector is experiencing. In particular, it was a response to academic and press discussion of how the millennial generation have grown up, studied, interacted with the world and each other and the ways in which these conditions may differ from those experienced by previous generations. Lydia and Andrew’s eventual report - 'Millennial Lawyers: Challenges and Opportunities for Law Firms in Leeds' – was published in September 2018, and considered the findings from surveys and focus groups conducted with lawyers and HR representatives from across the Leeds legal sector. The findings suggest that the perceived generational differences between ‘Millennials’ and others are not as extreme as much of the popular press suggests. For example, the surveys and focus group participants indicated that there was an increased interest in work-life balance, but the drivers for this were coming from lawyers at all career stages. Other key findings drew attention to the particular challenges that paralegals experience, and, in common with many other sectors, women still faced inappropriate behaviour. The Report also highlighted many examples of good practice throughout the profession which were explored in discussion. Andrew Francis presented the Report at the Carriageworks Theatre to Leeds City Council on the 6 March 2019. The presentation set out the main project findings and a series of recommendations designed to stimulate discussion within legal organisations about workplace culture and training support. Lydia and Andrew would be delighted to talk further to any firm wishing to discuss the findings in greater detail.